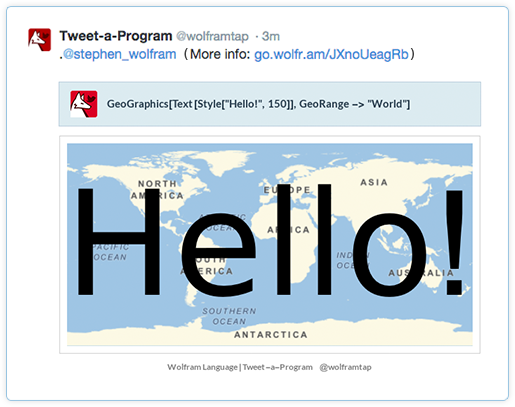 Stephen Wolfram has announced a new Wolfram Language program, Tweet-a-Program, which allows users to compose a tweet-length Wolfram Language program. Once it’s composed and tweeted to @WolframTaP, the company’s Twitter bot will run the problem in the recently announced Wolfram Cloud and tweet back the result. According to the Washington Post, the next generation of Android, expected to be released next month, will come with default encryption. Pictures, videos and any communication stored on the phone will only be accessible if a person enters the device’s password correctly, according to the Post. Microsoft’s interoperability, browser and cross-platform testing initiative for Internet Explorer is adding support for Vagrant. Vagrant is a development environment that allows developers to automate the setup and configuration of their development environments. “As a result, we’ve made available the VirtualBox versions of Modern.IE’s test VMs for Vagrant users in beta form so that they can automatically download and lay out those images for development and testing purposes,” the company wrote on its blog.